PRE-AUCTION OFFERS ARE STRONGLY ENCOURAGED! 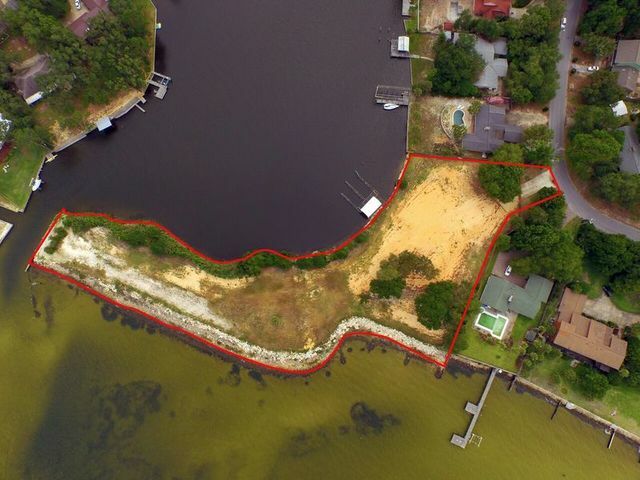 Build a family compound or simply enjoy the privacy of this "in town" waterfront parcel with 2.5 acres and 1300+ ft of direct waterfrontage. Protected Harbor for Watercraft. The closing shall take place no later than thirty (30) days after the auction at the offices of McNeese Title, LLC, at 36468 Emerald Coast Pkwy Destin, FL, Phone: (850) 337-4242. McNeese Title will serve as your escrow agent. You must bring either a Cashier’s Check or wired funds at closing. No purchase shall be contingent on financing or any other contingencies.